We are a rapidly growing multinacional manufacturer with the aim to deliver state of the art, field proven products to telecom operators, utilities, military and industry. 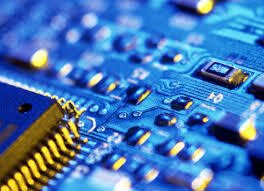 We design field and lab testers, multimeters, WAN and VoIP emulators, packet capture devices and synchronization systems all based on our core competence and our proprietary software & hardware solutions. ALBEDO has more that 500 major clients located using our solutions in more than 80 countries. We have a belief that the only way to build a successful company is to build a great team. We are looking for a junior engineering graduate (Computer Scince, Telecommunications or equivalent) to be based in Barcelona (Spain) with experience of 1-2 years on Telecom technologies. Should have worked in networking and possess the ability to understand telecommunication systems / equipment and its configuration. Should have ability to interpret technical issues and discuss it with overseas teams. The Business Development Manager reports to the Sales Director and should possess good learning capacity and ability to prioritize tasks depending upon the emergency situations. University Education in Telecoms, Computer Science, Maths, etc. This job description is not exhaustive and further duties may continually be added over time dependent on the needs of the business. We are looking for a junior engineering graduate (Electronics & Telecommunications or equivalent) with experience of 1-2 years on Telecom technologies. As Junior Software Engineer you will work with Software development team to deliver leading edge platforms of ALBEDO solutions. You will be based in Barcelona as a member of a talented team of software engineers with a broad range of experience in telecommunication testers and synchronization tools. You will report to the Software Director and you will have the opportunity to collaborate with multi-site projects working on cutting edge ALBEDO hardware. You will enjoy a world class work environment and you will be empowered to full fill your greatest engineer ambitions.